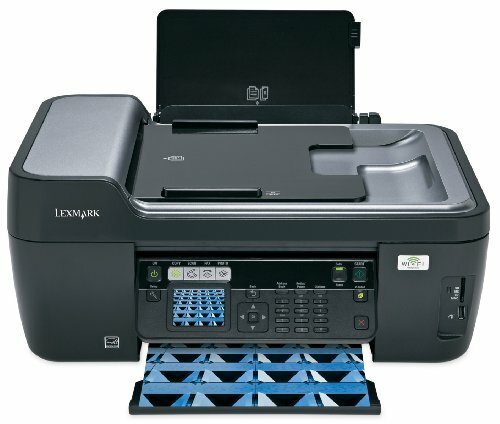 The Lexmark Prospect Pro205 Wireless Multifunction Inkjet Printer is a great multifunction inkjet printer that features wireless printing. It can connect to any wireless 802.11b/g network. This gives you the freedom of printing without wires. The eco mode allows the printer to automatically turn on during printing and turn off when printing is finished. This printer also features individual ink cartridges which allows the user to change the cartridges one at a time which will save money. The business card software will allow you to scan in business cards and organize them on your computer. The two-sided printing is usefully for printing brochures. The Lexmark Prospect Pro205 Wireless Multifunction Inkjet Printer is one of the top multifunction inkjet printers on the market today. The HP Officejet 6600 e-All-in-One Wireless Color Photo Printer with Scanner, Copier and Fax offers many features that other multifunction inkjet printers do not. This wireless printer features a low cost per page. 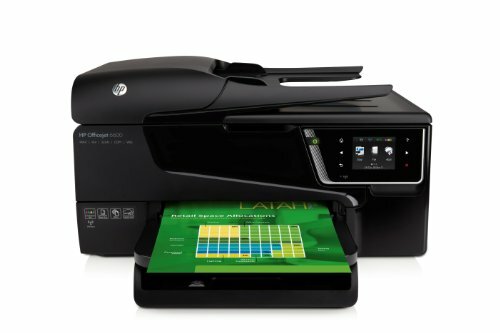 It allows you to print from your smartphone using HP ePrint or you can print using your wireless network. The 250 sheet paper tray and 35 sheet automatic document feeder means that you won’t have to get up to change the paper. This multifunction printer also has borderless printing meaning that your pictures will have a professional look. The individual color inks will allow you to replace only one cartridge at a time. High capacity cartridges are available to save money on printing costs. The auto on and auto off will save approximately 40% in energy costs. The HP Officejet 6600 e-All-in-One Wireless Color Photo Printer with Scanner, Copier and Fax is one of the best multifunction inkjet printers for any size family. Those looking for multifunction inkjet printers that allow large duplex printing, should look no further than the Brother MFCJ6910DW Business Inkjet All-in-One Printer. 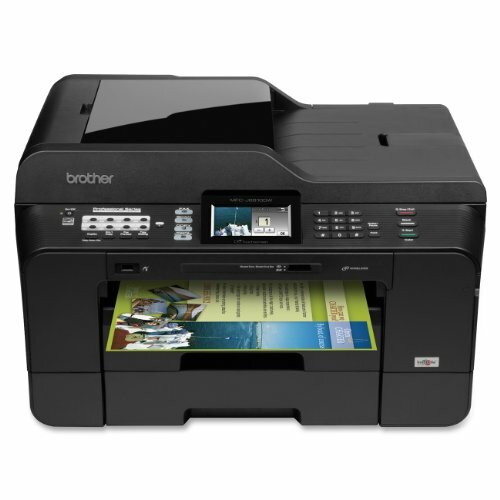 The Brother Business Inkjet allows duplex printing for documents up to 11 inches by 17 inches. It will help any business be more productive. It can be easily set up for wireless and can connect to a 802.11b/g/n network or it can be wired with an Ethernet cable. The 3.3 inch touch screen color LCD display is interactive and has an easy to use navigation menu. The dual paper trays allow for storage of up to 500 sheets of paper. The ink cartridges included with this printer are high yield and can print up to 2,400 pages in black and 1,200 pages in color. This printer can perform for different functions: fax, copy, scan or print. A three year limited warranty is included with this printer. The Brother MFCJ6910DW Business Inkjet All-in-One Printer is the perfect multifunction inkjet printer for large duplex printing. 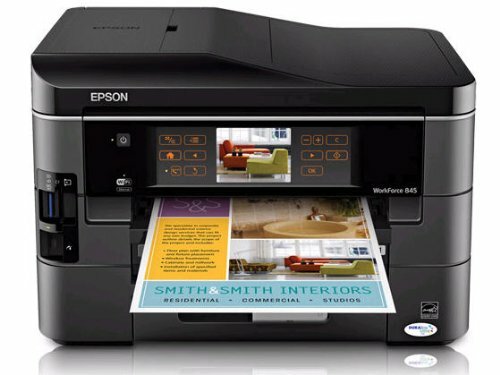 The Epson WorkForce 845 Wireless All-in-One Color Inkjet Printer is one of the best priced multifunction inkjet printers on the market. Even though it is priced low, it features all of the options one would need in a multifunction inkjet printer. This multifunction printer provides high speed printing, copying, scanning and faxing. The high quality prints will impress your clients or friends. The 500-sheet paper capacity allows you to print document after document without having to add more paper. The extra high capacity ink cartridges mean that you will be spending less on printing. This printer can connect to a wireless network, a smartphone or it can be wired to a network. This powerful printer will help take your business to the next level. The Epson WorkForce 845 Wireless All-in-One Color Inkjet Printer is a great option for those who cannot afford to spend a lot of money on multifunction inkjet printers. 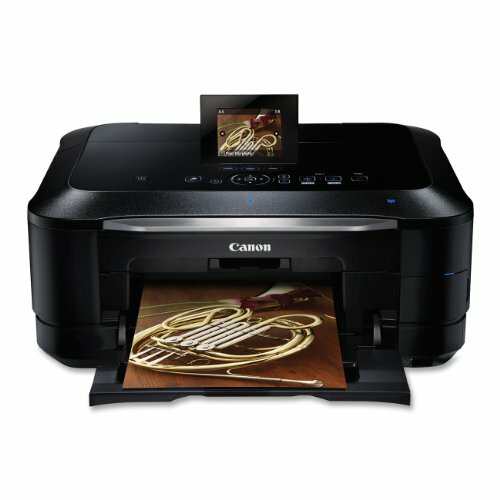 The Canon PIXMA MG8220 Wireless Inkjet Photo All-In-One Printer is overall the best multifunction inkjet printer. This compact all in one printer has a superior scanning resolution of up to 4800 by 9600 dpi with an included film adapter to scan films and slides. It can print borderless photos up to 8.5 inches by 11 inches in size. The Full HD Movie Print software allows you to make prints of your home movies. The individual ink tanks will save you money on replacement toner. The Intelligent Touch System allows you to program the printer easily with the touch sensitive buttons that light up. The LCD screen allows you to print without a computer. You can print from memory cards, flash drives, Bluetooth devices, smart phones such as the iPhone, Android devices and tablets such as the iPad. The Canon PIXMA MG8220 Wireless Inkjet Photo All-In-One Printer is the best multifunction inkjet printer on the market today. The best multifunction inkjet printers will offer many features at decent prices. When shopping for a multifunction inkjet printer, you need to know exactly what functions you want in a printer. Some multifunction printers will copy, scan and print but do not fax. Knowing if you need to use fax or not can help you narrow down your search. It can also help you lower the price of the printer. Why pay for a function that you will never use? If you know exactly what you want, you will be able to find the perfect multifunction inkjet printer for your family.